Blessed with the only white sand beach in the Nadi area. A small, owner-operated resort, featuring a range of accommodation from Fijian style Bures to our Two Bedroom, luxurious, self-catering Villas, each situated in their own enclosed tropical garden with a full sized pool. Bonus: Save up to 40% on accommodation PLUS FREE return airport transfers. Inclusions: A welcome fruit drink on arrival and Continental breakfast daily PLUS Children 4-12 years PLAY for FREE at Nalamu Nippers Kids Club. 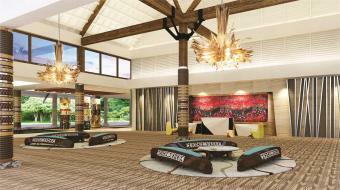 The Pullman Nadi Bay will boast 236 guest rooms, four restaurants, two pools and a wedding chapel. Its beachfront location ensures every room and suite will feature ocean views from either a patio or pool. Accommodation will be spacious with up to date amenities for a comfortable stay. Dining options will be plentiful with local and international dishes on offer. Not short on facilities, adults and children alike will be able to go wild with a dazzling array of activities including a kid's club, tennis courts, bicycle hire and a children's playground. For the not so active, the day spa will be the perfect place to unwind with a massage. Bonus: Save up to 45% on accommodation. Inclusions: Receive Full breakfast up to 2 adults and 2 children under 12 years old daily PLUS complimentary 2GB internet daily per room per night. 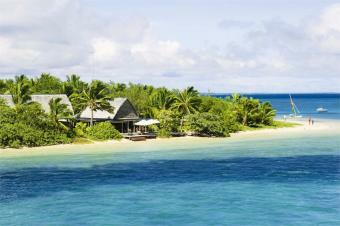 Welcome to a world of Westin luxury in the South Pacific. A place where five star comfort harmonizes with lush tropical surroundings and international style fuses with Fijian island warmth. 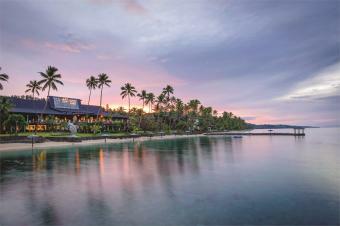 The resort is stylishly designed to reflect Fiji's rich cultural heritage and local style. Bonus: Save up to 15% on accommodation PLUS 2 x 30 minute massages per room at The Heavenly Spa by Westin. Inclusions: Includes full breakfast daily and FREE Wi-Fi. Perfectly positioned amidst sensational sandy beaches, crystal clear lagoons and lush tropical foliage on Fiji's fabled Coral Coast, the award-winning The Warwick Fiji offers a superb combination of luxurious comforts, genuine warmth and exotic island pleasures. 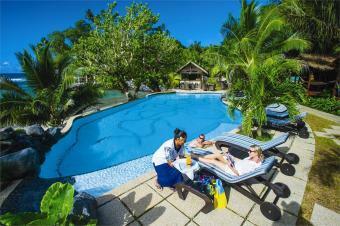 Bonus: Save up to 48% on accommodation PLUS receive a FJ$100 F&B Resort Credit and 2 x Night Snorkeling. Inclusions: Buffet breakfast daily PLUS up to 2 children 12 years and under PLAY and EAT ALL MEALS FREE from the buffet restaurant and at designated times only (conditions apply) and FREE use of selected non-motorised water activities. 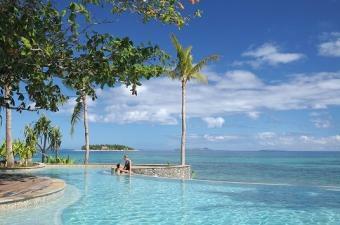 Outrigger Fiji Beach Resort has been designed and built to reflect a traditional Fijian village. Whilst staying at Outrigger Fiji Beach Resort enjoy a Spa experience like no other at the magnificent Bebe Day Spa located on the hill top with breathtaking ocean vistas. Inclusions: Up to 2 children under 12 years PLAY and EAT for FREE from the children's menu or buffet only (conditions apply). FREE Wi-Fi for entire stay. 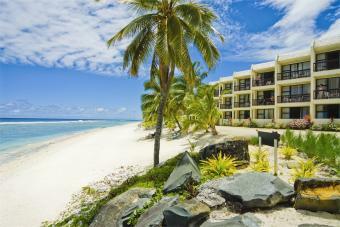 InterContinental Fiji Golf Resort & Spa offers contemporary luxury on white sands. Nestled amongst 35 acres of lush tropical grounds and 45 minutes from Nadi International Airport the resort is located on a 'world's best beach'.Offering 271 superbly appointed spacious rooms and contemporary suites. Inclusions: Buffet breakfast daily, a welcome shell lei and a refreshing cool drink upon arrival. Exclusively for you: Includes one FREE night, one 60 minute couples massage, one dinner for 2 in Sanasana Buffet Restaurant (food only) and one Cleopatra Bathing ritual per room per stay! Upgrade Offer: A DOUBLE room upgrade to a Lagoon King Room! 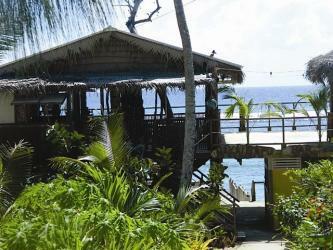 A fun-filled paradise on Malololailai Island, a 50 minute boat cruise from Denarau Marina. It features a variety of room options to suit couples & families or groups. At Plantation you can do as much or as little as you like, relax around the tropical pools, enjoy a game of tennis or round of golf. Bonus: Includes 1 FREE night. 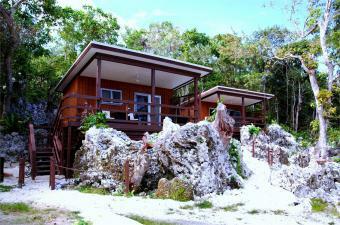 Stay 2 additional nights at Plantation Island for the price of 1. Inclusions: Up to 2 children 12 years or under STAY and EAT for FREE from buffet menu only (breakfast & dinner) and kids menu for lunch at selected restaurants when dining with a paying adult, get FREE launch transfers on the Malolo Cat (excludes 10.30am launch from Denarau) PLUS FREE access to Coconut Kids Club for children aged 4-12 years and Lairo Club for teenagers aged 13-16 years. Upgrade Offer: A DOUBLE room upgrade to an Ocean View Hotel Room! Set on a coral- and sand-fringed atoll just 17km from Nadi airport in the famous Mamanuca Islands, Treasure Island is one of Fiji's most popular resorts. Ideally suited for honeymooners, couples and families, the property offers 68 Oceanview and Oceanfront & Premium Beachfront Bures all close to the beach. Bonus: Includes 1 FREE night PLUS receive a FJ$100 Resort Credit per Bure per stay and 2 x 15 minute foot ritual per Adult in Senikai Day Spa once per stay. Inclusions: Canapés served during happy hour, afternoon tea daily at the Nakelo Restaurant, invitation to management cocktails on Wednesday evenings (1 hour free drinks with canapés), use of snorkelling, FREE introduction to Scuba Diving in Dive pool, stand-up paddle boards and kayaks and turtle feeding PLUS kids 4-11 years play FREE at Little Treasures kids club (conditions apply). NOTE: Discounts are already included in the advertised price and no further discount applies Non-refundable offer. Inclusions: Buffet breakfast daily per person, complimentary use of snorkelling gear, reef shoes, board games, 1x intro dive per person in the pool and parking. Bonus: Save up to 25% on accommodation PLUS receive a FREE 2GB Wi-Fi allowance and a NZ$50 resort credit per room per stay. Inclusions: Tropical breakfast daily, free use of snorkelling equipment, tennis courts and a daily activities programme and FREE entry to the Coconuts Kids Club for children 4-12 years (conditions apply). Bonus: Receive a FREE NZ$100 onsite bar credit and a NZ$50 Wi-Fi credit per booking. Inclusions: Tropical breakfast daily, free use of snorkelling gear, kayaks, sun loungers, beach towels and gas barbecues. Bonus: Save up to 20% on accommodation PLUS receive a NZ$100 Food and Beverage Credit per room per stay. 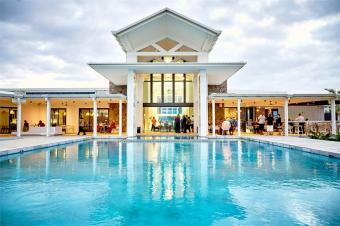 Bonus: Includes 1 FREE night PLUS receive a FREE bottle of wine on arrival. Inclusions: Continental breakfast daily, complimentary use of snorkeling gear and kayak equipment. Bonus: Save up to 20% on accommodation PLUS receive $300 resort credit per villa per stay. Inclusions: Tropical breakfast daily, happy hour with reduced prices & nightly turn-down service with flowers. Bonus: Includes 1 FREE night and a FREE bottle of wine on arrival PLUS receive a NZ$250 Food & Beverage credit per room per stay. For each additional night you stay receive an additional NZ$50 Food and Beverage credit per room per day. Inclusions: Tropical Breakfast daily, FREE scheduled daily activities at the Beach Hut, FREE kids activities for children aged 6-12 years, FREE use of kayaks, snorkelling gear, beach towels and sun loungers. 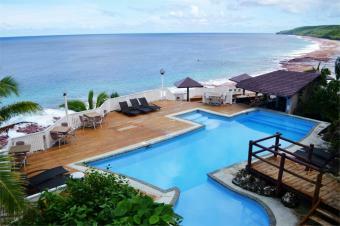 A 60 room, absolute beachfront resort nestled within the most spectacular location. Each room has been lovingly designed and detailed with features including traditional hand carved poles, hand-smoothed marble tiles, shimmering silks, and some have natural, local volcanic rock walled showers. Bonus: Save up to 30% on accommodation PLUS receive a WST100 resort credit per room per stay and 2 x 30 minute SPAradise head and shoulder massages. Inclusions: Tropical breakfast daily, complimentary return airport transfers, outdoor Gym, Crab Races, seasonal beach activities and use of snorkeling gear. Situated 5 minutes from Lolomanu beach, one of the most beautiful beaches on Upolu, offering Hotel Rooms with views of the ocean, or Villas situated right on the waters edge. The restaurant & bar provides all day dining options and the Island an alternative leisure options. 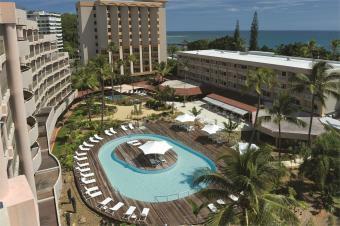 Bonus: Save up to 25% on accommodation PLUS receive a WST100 resort credit per room per stay. Inclusions: Continental breakfast daily at Tualupetu Restaurant between 8-11am, complimentary return airport transfers and FREE use of snorkelling equipment and kayaks. Upgrade Offer: Receive a FREE room upgrade (subject to availability at time of check-in). 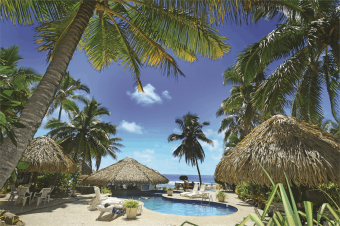 Located on the scenic northwest coast of Upolu, the only full facility resort in Samoa which offers 133 spacious, air-conditioned Deluxe Ocean View Rooms & Suites, all with sweeping views of the vast lagoon and white sand beach. Bonus: Save up to 15% on accommodation PLUS a WST100 resort credit and 2 x 1 hour spa treatments per room PLUS up to two kids 12 years and under eat FREE from the Buffet or Kids Menu when dining with adults. Inclusions: Buffet breakfast daily, children 4-12 years PLAY for FREE at Dolphin Kids Club and FREE non-motorised water sports (excludes paddle-boarding). Located off the coast of Samoa on its own private island and provides the best of island living with modern accommodation and first class facilities. 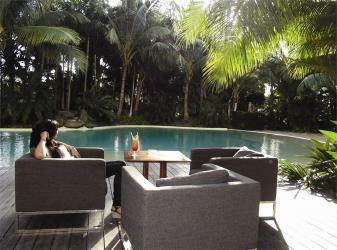 The resort boasts two large private beaches, a large fresh water pool a sunset bar and more. Offering a mix of hotel suites and private villa accommodation, as well as a conference room, retail and restaurant precincts, a wedding venue and bar. Bonus: Save up to 30% on accommodation PLUS receive a WST200 resort credit per booking. Inclusions: Full breakfast daily and FREE use of non-motorised water sports. 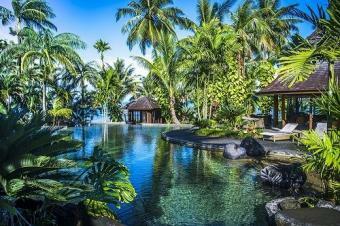 Arriving at Sinalei Reef Resort & Spa, you are welcomed by an abundant landscaping of lush tropical gardens. Sinalei's 29 villas offer a range of room categories with garden, ocean view or beach front settings, situated in stunning tropical surrounds. Bonus: Save up to 30% on accommodation PLUS receive a NZ$75 Resort Credit per room per stay for travel to 19 Jun & 1-30 Nov 19 OR a NZ$50 Resort Credit per room per stay for travel 29 Jul - 31 Oct 19. Inclusions: Tropical breakfast PLUS afternoon tea daily, 1x 15 minute head & shoulder massage, complimentary use of snorkelling gear and kayaks. Hidden amongst coconut palms and portraying the ultimate in boutique luxury, Seabreeze Resort features 11 air-conditioned Villas. 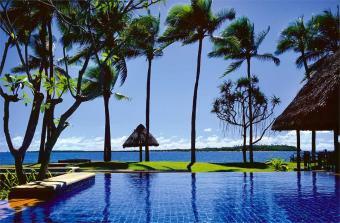 Each Villa is furnished with style and elegance capturing the relaxing ambiance of life in the South Pacific. Bonus: Receive a WST100 resort credit per room per stay. Bonus: Save up to 20% on accommodation PLUS FREE return airport transfers. Inclusions: Tropical breakfast daily, free coconut demonstration & kava ceremony. 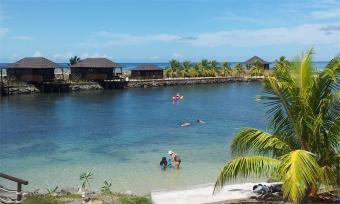 Fafa Island Resort, an 18 acres palm covered atoll, is located only 30 minutes by boat from Nuku'alofa. Accommodation is in traditional style Superior Fales or the Deluxe Fales complete with large partially covered decks which are only a few steps from the waters edge. Bonus: Save up to 20% on accommodation PLUS receive a FREE bottle of wine. 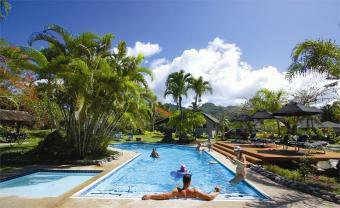 Inclusions: Complimentary use of snorkelling gear, surf skies, volleyball, French boule, bush walking and library. 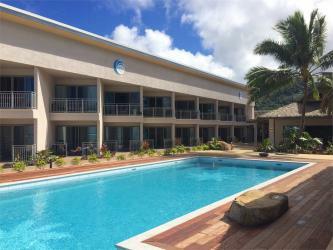 Located in the main village of Alofi, Taloa Heights is conveniently located close to all local amenities and walking distance from some amazing swimming spots. All units are brand new, comfortable open style, self contained accommodation with spectacular ocean views. Bonus: Includes 3 FREE nights. Inclusions: Complimentary return airport transfers and use of snorkeling gear. Set amongst tropical gardens and 180 degree views of the Pacific Ocean. 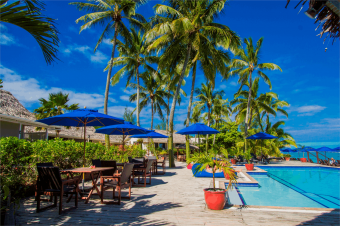 Matavai Resort offers a range of 44 spacious hotel rooms from Ocean, Superior and Clifftop, newly refurbished blending contemporary comforts and luxury with timeless style. Bonus: Includes a 2 day car hire and snorkel gear for 2 for two days PLUS a NZ$250 Food and Beverage resort credit per room per stay. Inclusions: Tropical Continental breakfast daily for two, return Airport transfers, welcome drinks on arrival and 60 minutes FREE Wi-Fi (up to 100mb) per day. Inclusions: Guests staying at Nouvata receive 15% discount off full buffet lunch and dinner (excluding beverages). The discount will be deducted automatically from the room bill. Does not apply to breakfast in the restaurant, or drinks, tapas or snacks at Code Bar. Bonus: Save up to 30% on accommodation PLUS Duck Island return transfers for 2 adults, FREE Wi-Fi up to 250MB per room per day and FREE Gym access. Inclusions: 1 free drink voucher per person (beer, wine or soft drink). Inclusions: Free access to Tjibaou Center, complimentary access to Fitness Centre, unlimited use of non-motorised water sports equipment (upon availability), free entrance to the Grand Casino de Nouméa including XPF500 worth of gambling chips and 1 welcome drink per person. Located 90 minutes North from the International airport, is surrounded by lush tropical gardens and the emerald waters of the southwest Pacific and UNESCO World Heritage Site. This resort offers a mix of comfy traditional rooms, luxury bungalows, functional 1 to 3 bedroom suites, 2 unique restaurants and a great lounge bar, a fun kids club, pampering spa, challenging 18 hole golf course and lots of land and water activities. Inclusions: Buffet breakfast daily, complimentary unlimited use of non-motorised water sports equipment (upon availability), access to the fitness centre (24/7) and use of bicycles (subject to availability), and complimentary Kids Club for children aged 1-12 years. Bonus: Save up to 30% on accommodation. Inclusions: Complimentary Mini-Bar filled once daily with fruit juices, soda, local beers, still and sparkling bottle of water. Located on a white sand beachfront, just a short drive from arrival points on the island and only kilometres from Cook's Bay, this resort is everything you've ever dreamed about. 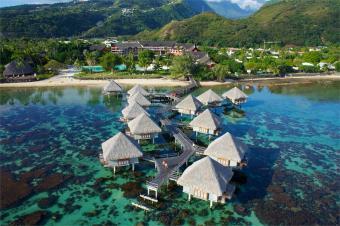 Choose from Polynesian-style garden rooms and bungalows, beachfront bungalows or an overwater Bungalow. NOTE: City tax of XPF200 per person, per day is payable direct to hotels (subject to change). 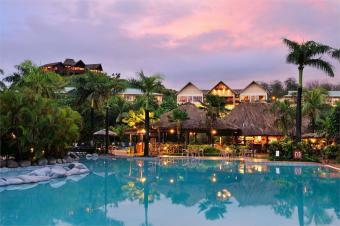 Manava Suite Resort Tahiti, a Resort fee of XPF1250 (NZ$18) per room per night is payable direct on departure. 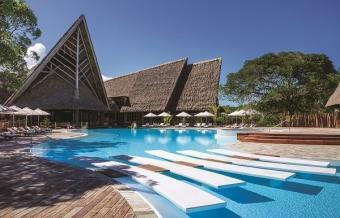 Bonus: Save up to 30% on accommodation at Manava Beach Resort & Spa - Moorea. 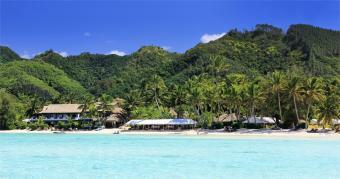 Inclusions: Includes American breakfast daily in Moorea. 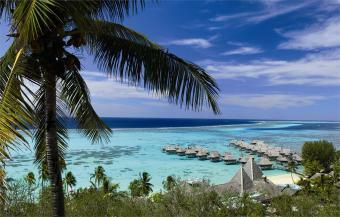 Bonus: Includes 2 FREE nights at InterContinental Moorea Resort & Spa. 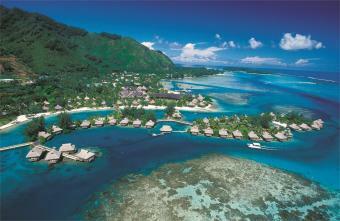 Inclusions: American Breakfast daily in Moorea and Papeete. 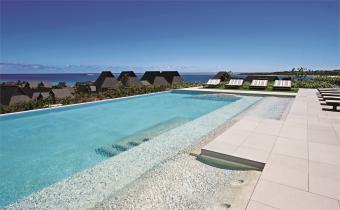 Bonus: Save up to 30% on accommodation at Sofitel Moorea Ia Ora Beach Resort. 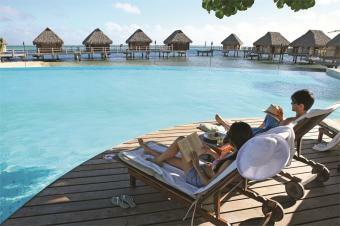 Inclusions: American breakfast daily and free Wi-Fi in Moorea. Return Economy Class 'Seat + Bag' airfare flying Air New Zealand ex Auckland. Return airport transfers as required. Accommodation and bonus offers as outlined. For travel from all other Air New Zealand domestic departure points add $159 per person return, via Auckland. Upgrade to "The Works" from $50 per person return ex Auckland to Nadi. Upgrade to "The Works" from $40 per person return ex Auckland for all other destinations. 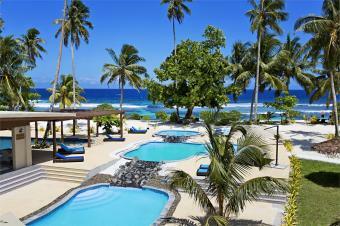 Upgrade to Premium Economy from $149 per person return ex Auckland to Nadi. 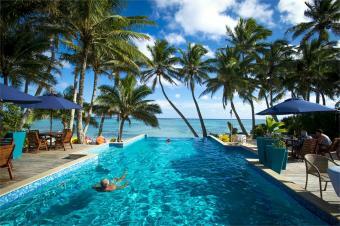 Upgrade to Premium Economy from $179 per person return ex Auckland to Rarotonga, Samoa & Tonga. 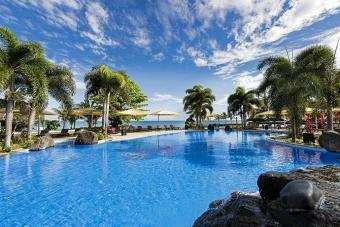 Upgrade to Premium Economy from $359 per person return ex Auckland to Papeete. Important: An additional $11 per person each way applies to travel in either direction on Friday, Saturday or Sunday flights.